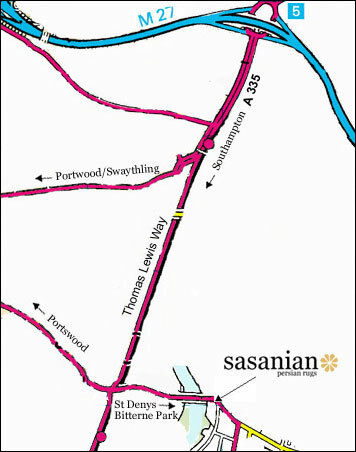 Leave the M27 at Junction 5 and exit the roundabout on the A335 towards Southampton. At the second set of traffic lights, bear left, still on the A335, into Thomas Lewis Way. Take the first left, signposted St Denys, Bitterne Park. Continue until you cross Cobden Bridge over the river. The shop is immediately on your right just opposite the clock tower at Bitterne Triangle. Take the first right turn into Whitworth Crescent for easy parking.